EATDRINK is a celebration of the talented individuals who are doing exceptional things in the Australian hospitality industry and is the realisation of photographer Dean Cambray’s desire to tell their stories. We are happy to be a part of EATDRINK as Bacash and Michael’s food feature in the first edition of this beautiful publication. EATDRINK features a 12 page spread about Bacash including recipes, great food shots and a bio of the Bacash Philosophy. Others featured in the book are Estelle, Annie Smithers, Red Spice Road and many more. Dean Cambray taps into his past career as a chef in Michelin starred restaurant’s. Dean has taken his passion for food and photography in a new direction letting his camera tell the story. “It’s gratifying to be trusted,” he says. “When you’re photographing a chef’s food or someone’s product, it’s a very personal thing. It’s very important to them that I respect the fact I’m representing someone’s business and ideas”. And what a perfect gift idea. 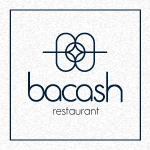 Choose an EATDRINK and Bacash Restaurant gift certificate combination for your loved ones this Christmas.